Let’s say a new family moves in a couple of blocks from your clinic, and the mother holds a gathering for her new neighbours. At the gathering, she asks, “I’d like to find a first-rate XYZ health practitioner for my family. Is there anyone special here in this suburb?” How many of her newfound friends do you think would not only remember your name but also be able to clearly elaborate upon what makes your practice different? If your practice is lost in a sea of sameness, you have a branding problem. Sadly, a lot of would-be patients, still think health practitioners are all pretty much the same. The “sameness” misconception is not the patient’s fault. If you want a truly remarkable practice, you must create a terrific product, and then communicate your points of differentiation clearly and consistently. Marketers call this branding, and it’s vital to winning the clinic marketing game. Exactly who wants to be the “vanilla” health practitioner? Throughout the years I have spoken to hundreds of practitioners, and there isn’t a single one who thought he or she had just “another” clinic. Each practitioner could tell me something unique about his/her work, practice, staff, and office environment. Unfortunately, in most cases, they didn’t focus this message into a brand, so, to the public, these practitioners remained just another clinic. Well, it turns out that branding your practice has some very tangible rewards. People will happily pay more for a brand than for a generic alternative. Don’t believe us? Look at your own family’s shopping habits. You could save a bundle by buying generic cola, bread, paper towels, pasta, laundry detergent, and more. But unless you are a very rare bird, you don’t. You buy many of the big brands like everyone else. Why? Because you assume, either consciously or unconsciously, that the quality of a name brand product is better. Your patients think the same way. In fact, if you and your clinic staff are tired of haggling with patients over finances, you can take the money issue off the table by creating a value-added brand. People prefer to buy brands because they reduce perceived risk. Consumers know that advertisers invest a lot of money in building their brands, and hence have a lot to lose if they put out shoddy products. Therefore, people are not only willing to try a new brand; they are highly likely to stay with that brand if they are satisfied with it. People buy brands for status.Sometimes people spend more for a product because it is more expensive. Think Mercedes and Rolex. While relatively few health practitioners are status symbols, it does happen. People refer more often and more passionately to a brand they like and trust.Truly great brands achieve near cult-level loyalty from their followers, to the point where consumers actually identify with their brands. Harley Davidson(TM) isn’t just a motorcycle, it’s a personal statement. Some argue passionately for Coke(TM), others for Pepsi(TM). Wouldn’t it be great if your patients were this loyal? You can build and accelerate your reputation through branding.We understand that many health practitioners are uncomfortable with the idea of “tooting their own horn.” However, since your reputation is your most valuable asset, are you willing to leave it entirely up to factors outside of your control? Instead of passively waiting and hoping for a good reputation to develop over the years, you can actively mould and shape your reputation now, through purposeful branding. You can attract more of the cases you want through branding.Savvy health practitioners don’t try to recruit everyone to their practices. Instead, they target the patients and cases they want (e.g. athletes, sports-oriented patients, families, seniors, etc.). 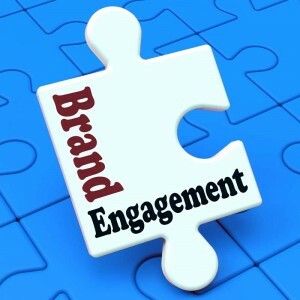 Branding can help you appeal to exactly the audience you want. Branding will give you a competitive advantage.In a competitive market environment, which means just about everywhere, your practice needs to stand out in a positive and highly distinctive way because you are being compared directly to all others. Branding will help you stand out. A branded practice will be worth more than a non-branded practice.For the reasons we’ve discussed, a branded practice will often do far better economically than a non-branded practice. Additionally, when it’s time to sell, a practice with a great reputation and proven ongoing marketing systems will command a better price than a run-of-the-mill practice.